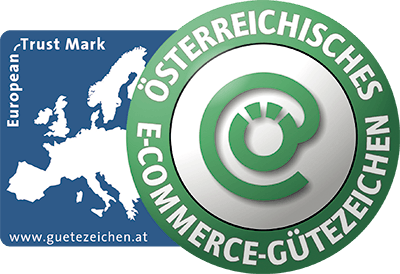 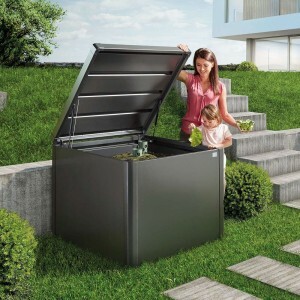 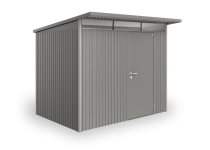 Biohort Gartenhaus HighLine in Größe H2 in silber-metallic Größe H2 Standardtüre - kann anstelle eines Seitenwandelementes eingebaut werden. 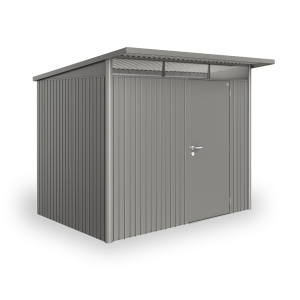 The ultimate tool shed, which meets all the requirements in every respect for safety and functionality. 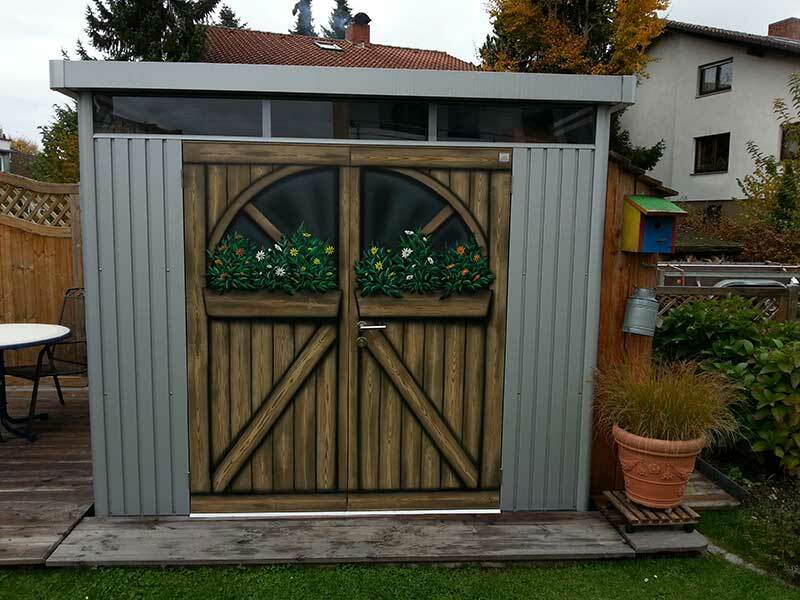 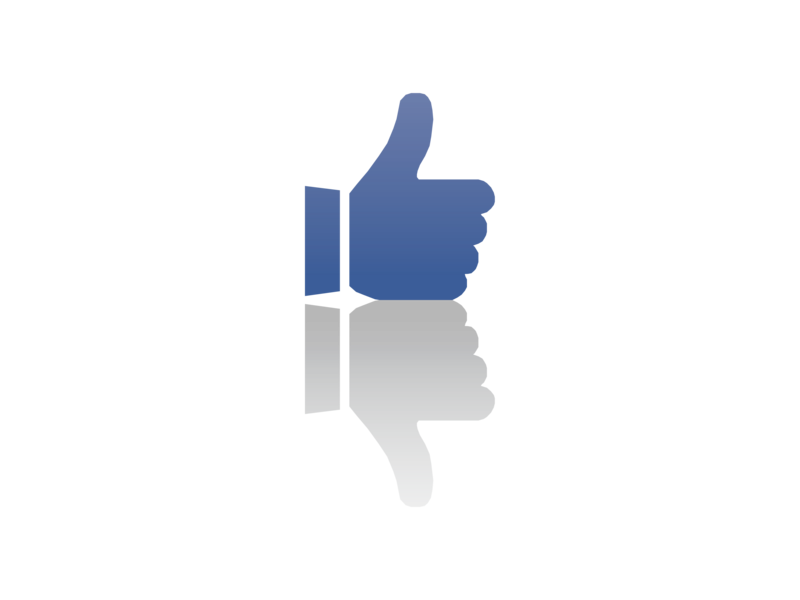 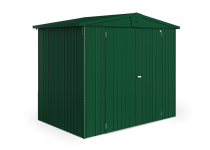 The Biohort garden shed HighLine® fulfils the highest standards! 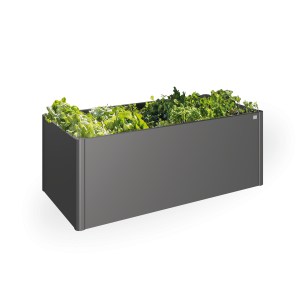 For all those, who are looking for the best with regard to quality and design - the top product of Biohort conceived by industrial designers. 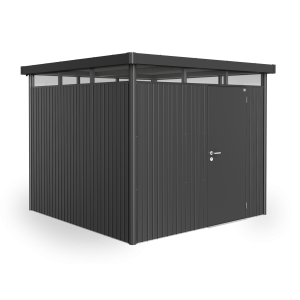 The modern flat roof and the integrated all-around skylight make the garden shed HighLine® a pleasure for one's eye. 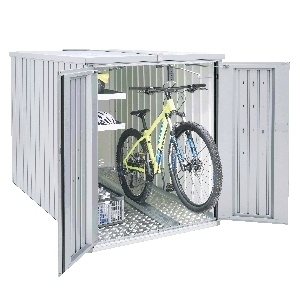 The 3-way locking mechanism with a cylinder lock ensures optimum security. 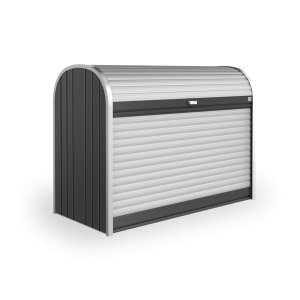 The opening and closing of the door works semi-automatically with the help of a gas assisted spring damper. 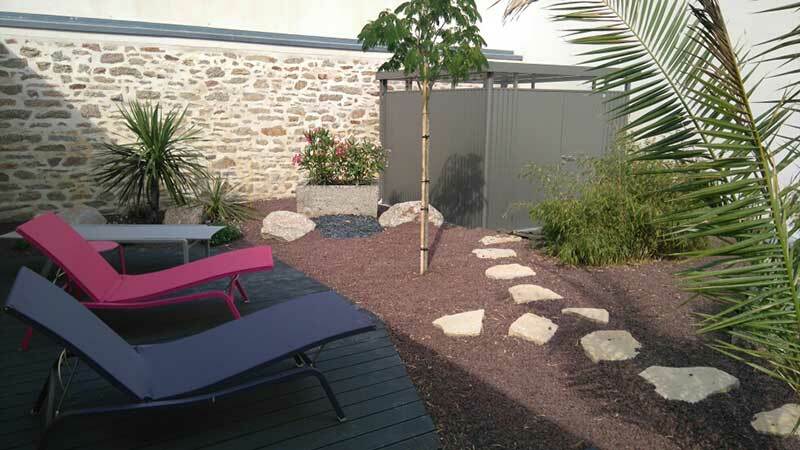 Moreover, all this is absolutely maintenance-free! 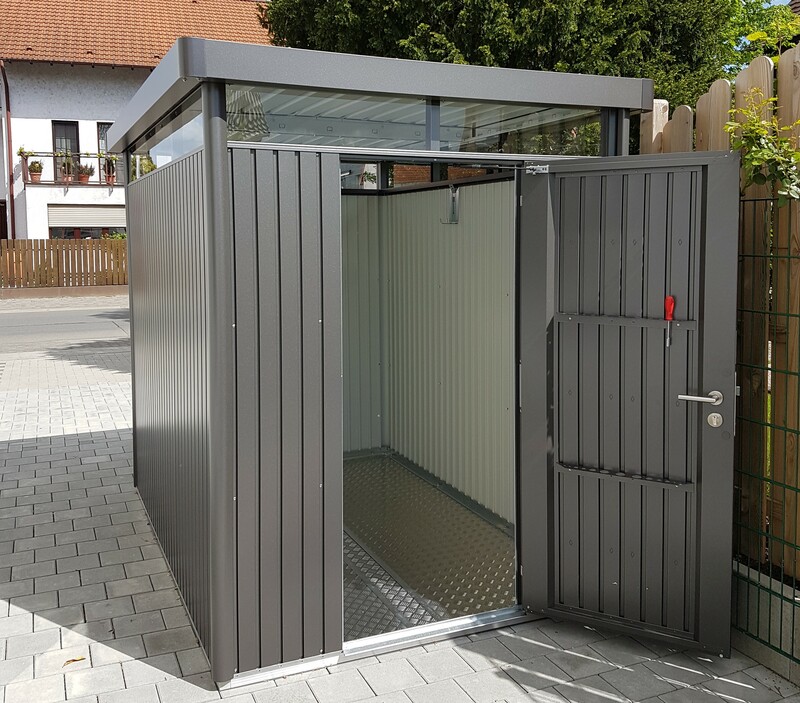 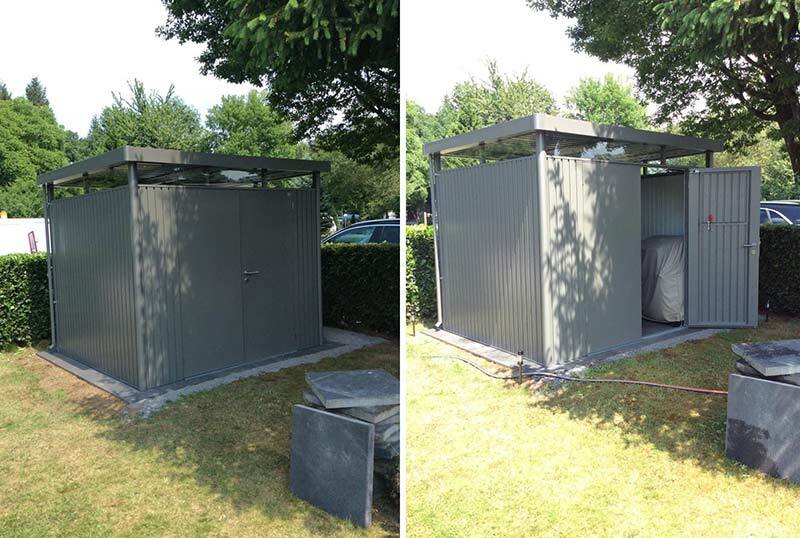 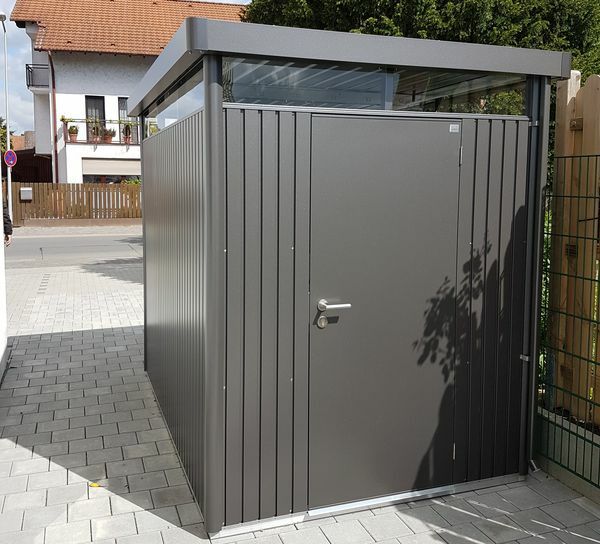 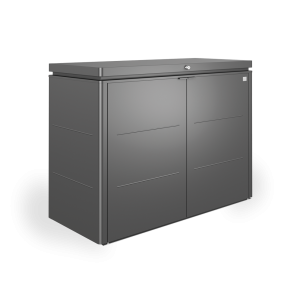 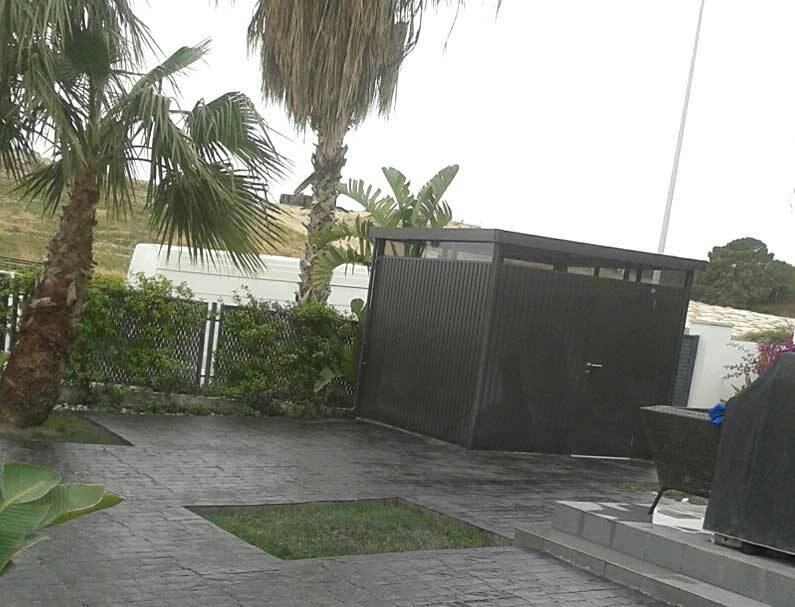 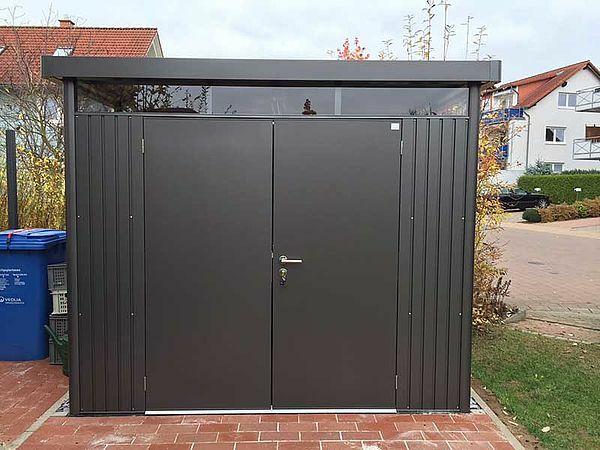 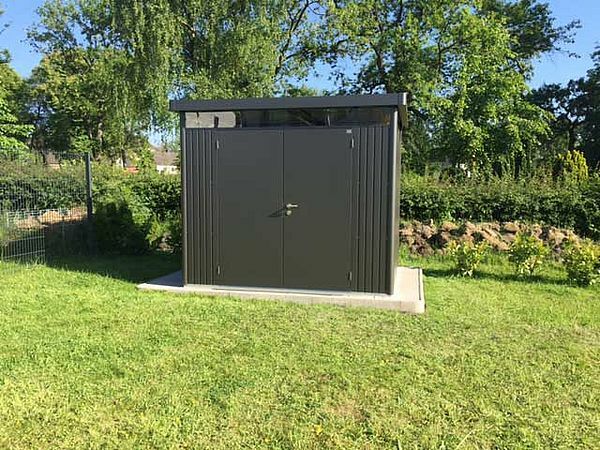 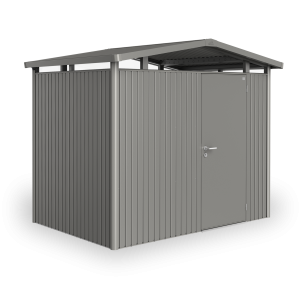 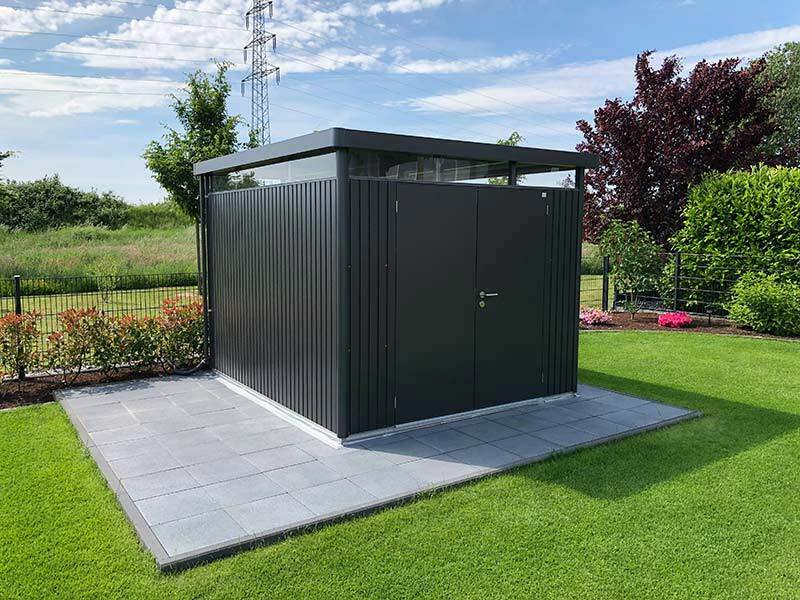 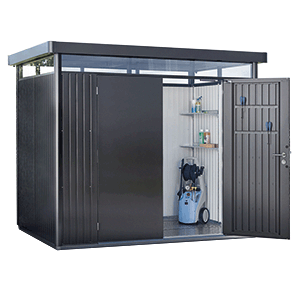 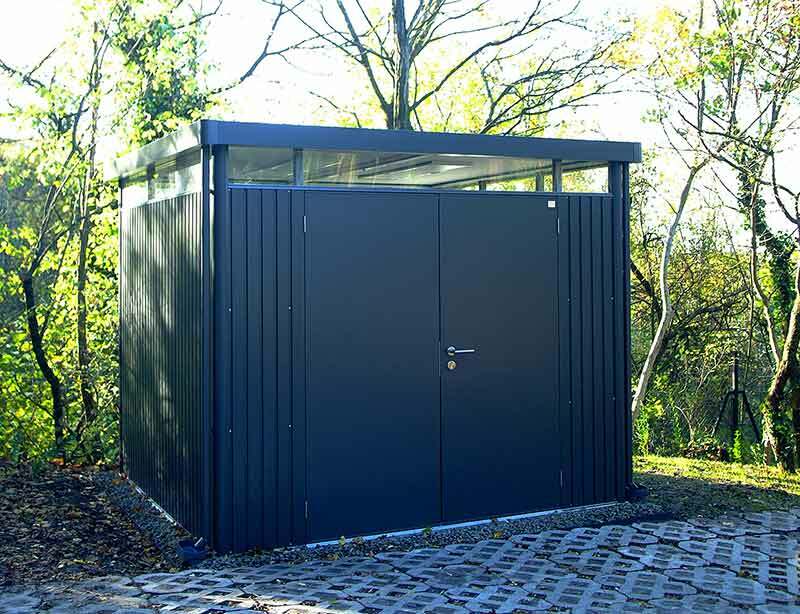 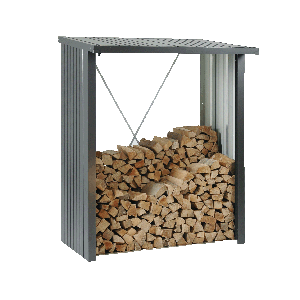 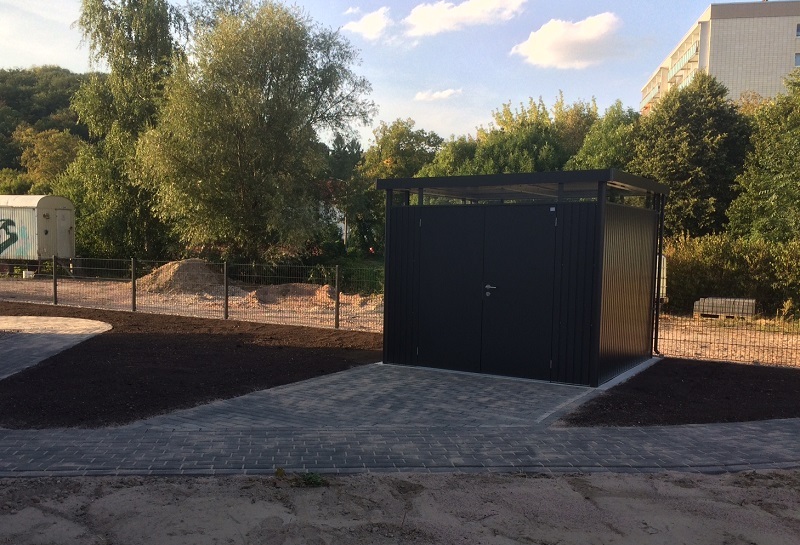 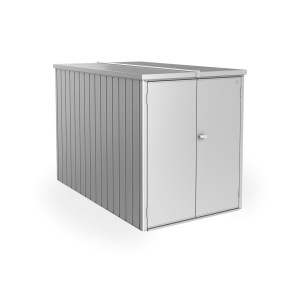 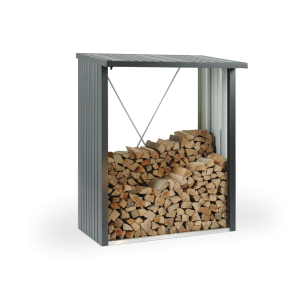 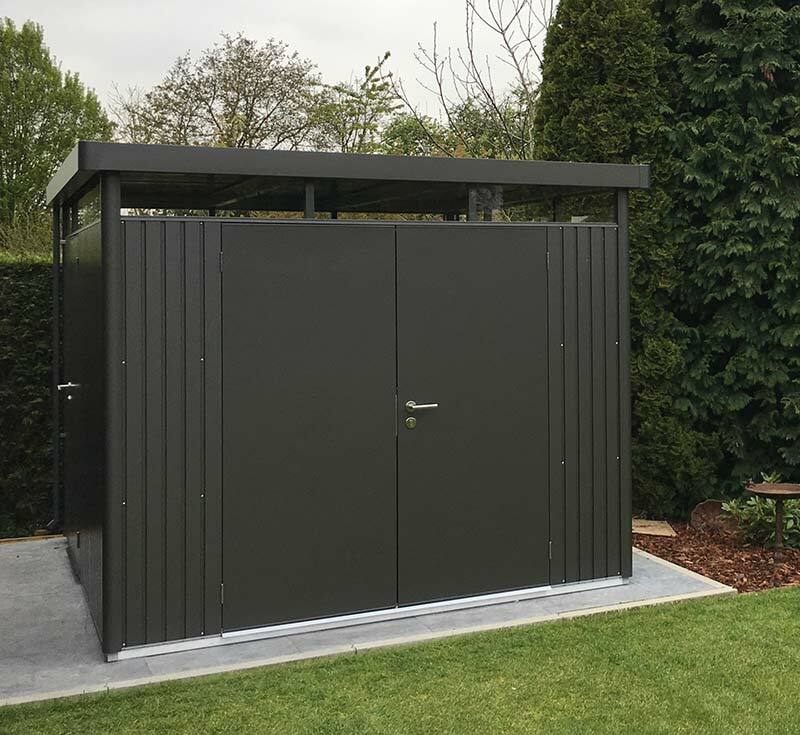 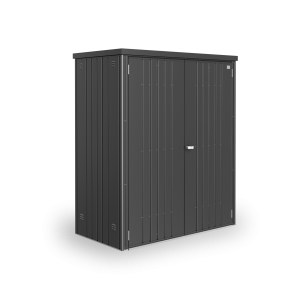 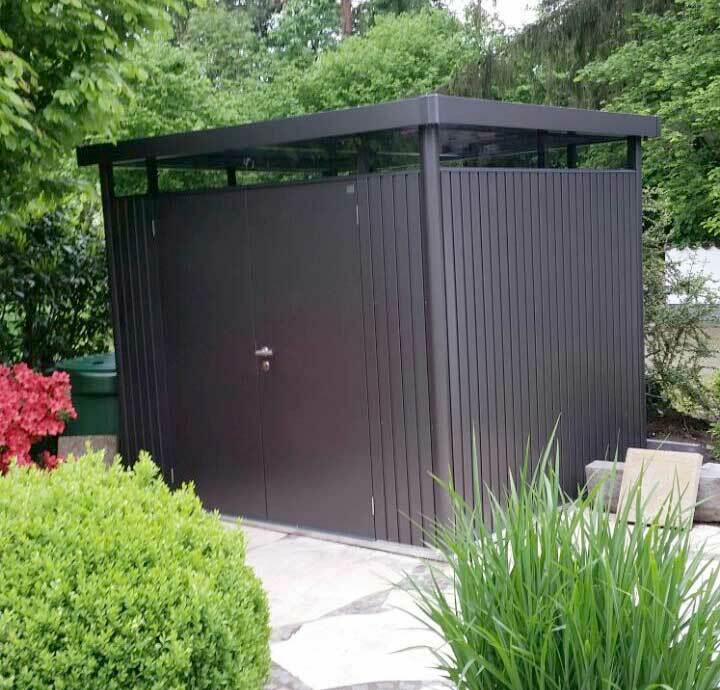 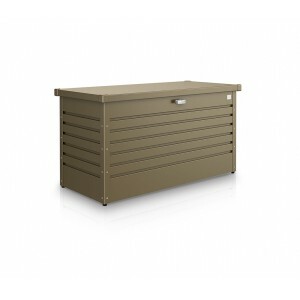 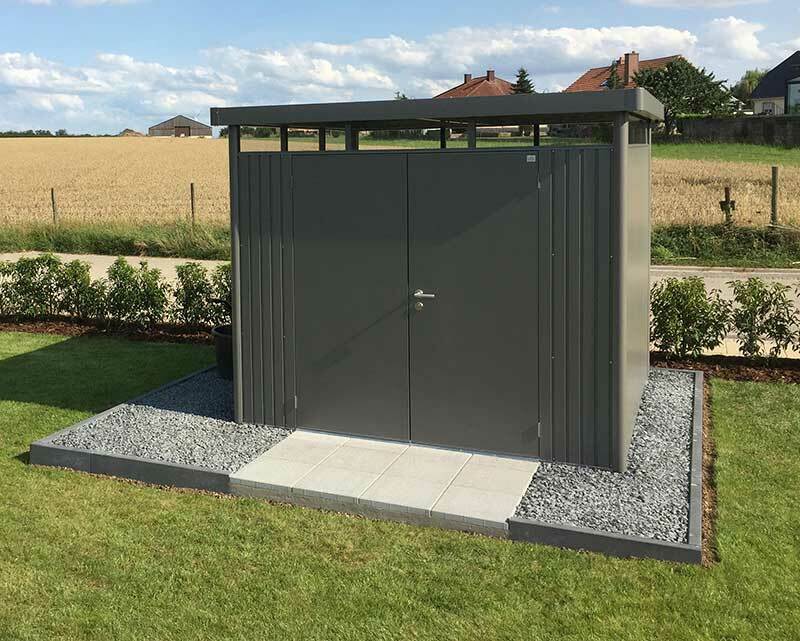 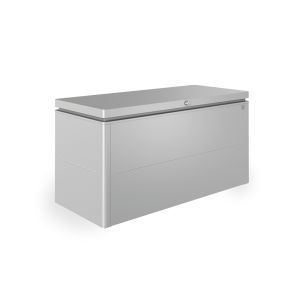 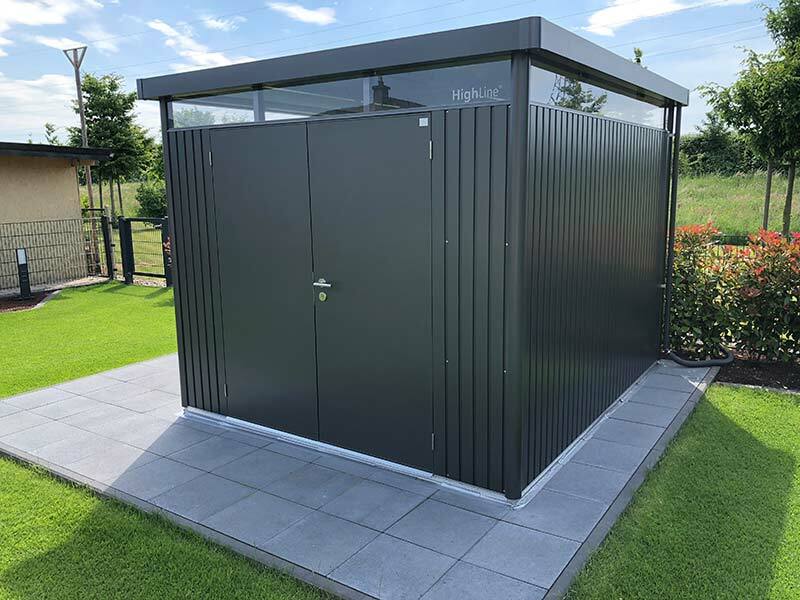 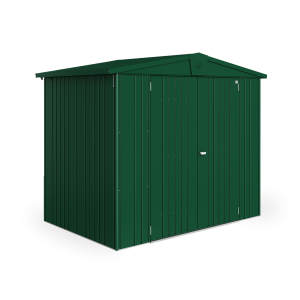 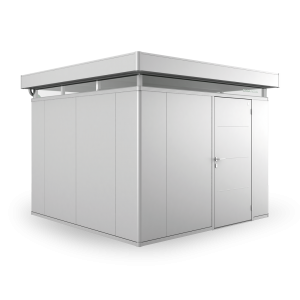 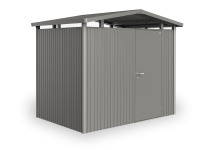 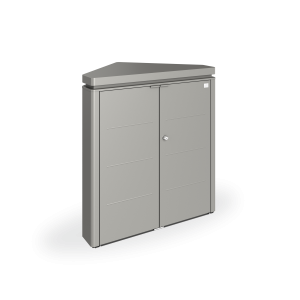 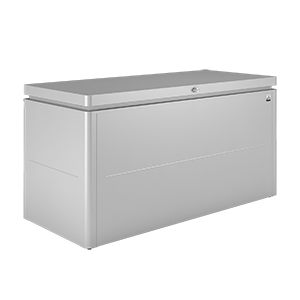 The ultimate tool shed HighLine®, which also meets all the requirements for safety and functionality, is available in 5 sizes (H1, H2, H3, H4 and H5) and 3 colours (metallic silver, metallic dark grey and metallic quartz grey). 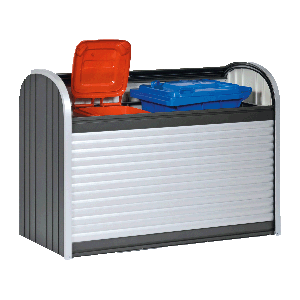 provides assistance when opening and closing the door and also holds the door firmly in position. 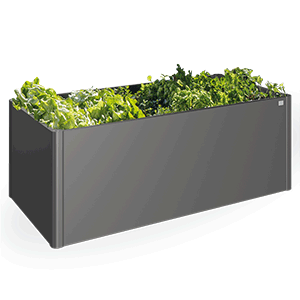 Additional shelves with 24.5 cm or 43.5 cm depth and 74 cm width, as well as support rails are available as accessories. are fitted inside of the door. 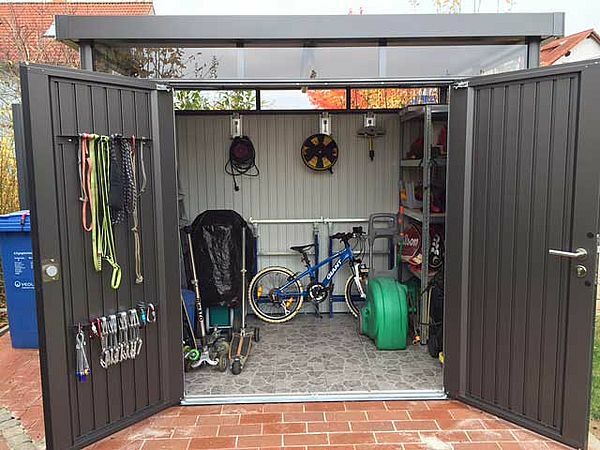 A maximum of 5 tool holders can be fitted to one door. 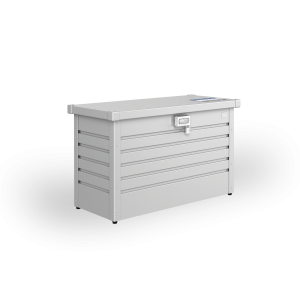 Additional tools holders are available as accessories. 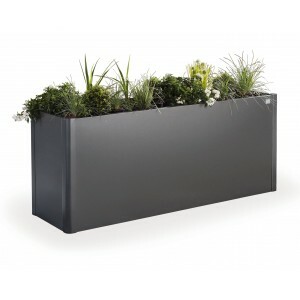 You are interested in Redskabsrum HighLine?